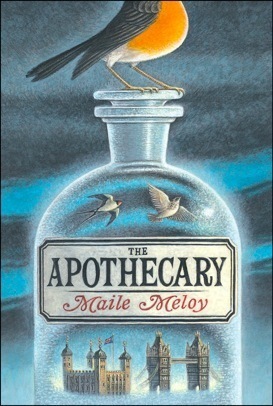 The Apothecary by Maile Meloy. 14-year-old Janie Scott has grown up in Hollywood, California all her life. But her parents are staunch believers in the idea that those with more should help those with less. As this is the height of McCarthyism, they are labeled as Communists and risk prosecution if they don’t sell out their friends. So Janie and her family pull up roots and move to London where they are forced to start all over again. Janie quickly makes the acquaintance of a young boy named Benjamin, whose father runs the local apothecary. But suddenly, Benjamin’s father goes missing and as the children begin digging to figure out what happened, they realize there is a lot more going on than it seems. Benjamin’s father has left a book called Pharmacopoeia in his care. It turns out to be full of potions that can be created using fairly common plants. Invisibility, transformation into a bird, these are just a couple of the spells they find. And the Apothecary has gotten into trouble. Working with others around the globe, they are looking for a magical solution to a real-world problem: the Cold War and the proliferation of nuclear testing. Now Janie and Benjamin are in way over their heads. Their only hope is to find his dad and hope the Pharmacopoeia can help them on the way. This was a fun and exciting book that would be good to read aloud or for a middle school-aged child to read alone. There were a few plot points that were never clearly explained and some incidents that seemed highly implausible. Also, it was easy to tell pretty much immediately who was going to be good and who was bad. It’s possible a child wouldn’t notice or think twice about these things and this is a book for children so I’ll let it slide. Overall, The Apothecary is a harmless, fun, exciting book for fans of magic and adventure. We’ve all been hit with a last-minute house guest at some point in our adult lives, but what happens when Aunt Marie decides on Thursday that she’s coming to town for a visit on Friday? First of all, don’t panic! You got this, I promise. 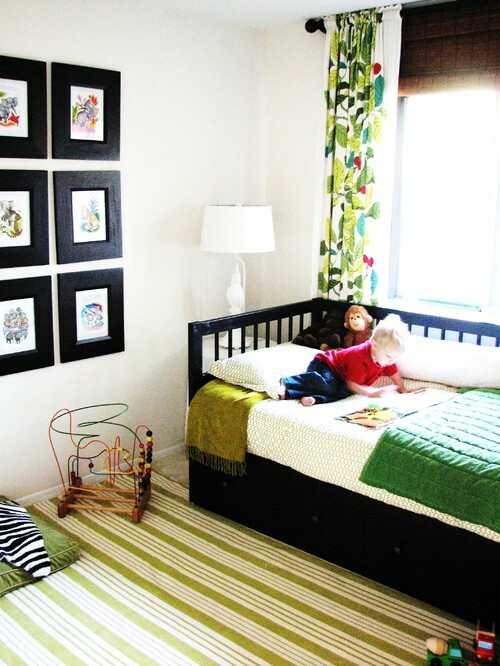 Here are six practical tips to help you turn your kid’s room into a temporary guest room in no time. If you have a small child, you’ll want to make an attempt to eliminate the youthfulness in the room. Put away stuffed animals, dolls, and toys. Store in a trunk or neatly on a shelf in the closet. You’ll be amazed at how much less cluttered the space will feel immediately. If the bedding has a “Paw Patrol” or “Despicable Me” theme, it’s best to change it to a more neutral design, or a pattern with a grown-up motif. That could be a white duvet cover or a solid-colored coverlet and crisp white sheets, or something basic like a check or stripe. Even a whimsical floral might work. Create hanging space in the closet. Temporarily, move some of your child’s clothing into your room, but leave some hangers. If the closet is large, you can simply push the garments to one side, leaving enough room for Auntie’s clothes. Clean out one drawer for personal items. Your guest might not unpack if it’s a short visit, but it sure will be nice for him or her to have the option and feel at home during the stay. After the toys are gone, you should have a little space to add a few adult amenities. 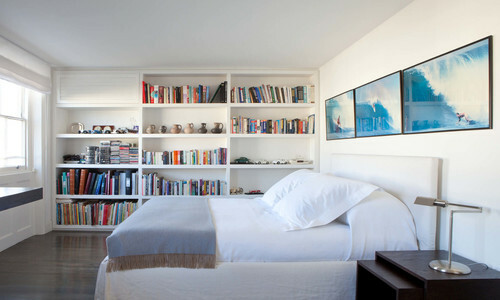 Bring in several books and magazines, as well as a small houseplant or vase with flowers. Have a notepad and pen by the bed or on a desk if there’s one in the room. Add a luggage rack or small bench if you have one handy, so your guest can have a proper place for a suitcase. 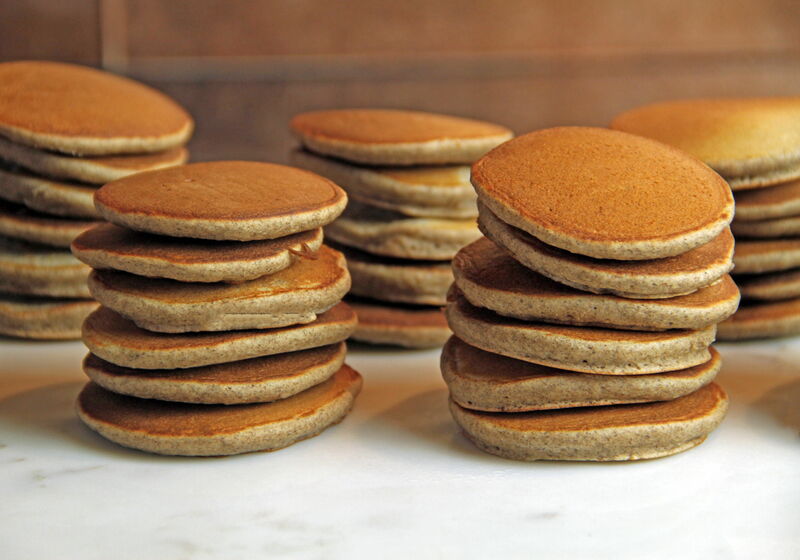 Wonderful earthy undertones with hints of walnut make buckwheat an ideal substance for creating delicious little brown discs – Baby Buckwheat Cakes. Buckwheat was first cultivated in America sometime during the 1700s, and quickly became a popular ingredient for making pancakes. Sometimes these cakes were made with yeasted batter or sourdough starter. Oftentimes cornmeal was incorporated into the mix. Later, the cooking process became easier with the addition of saleratus, the predecessor of baking soda and baking powder. 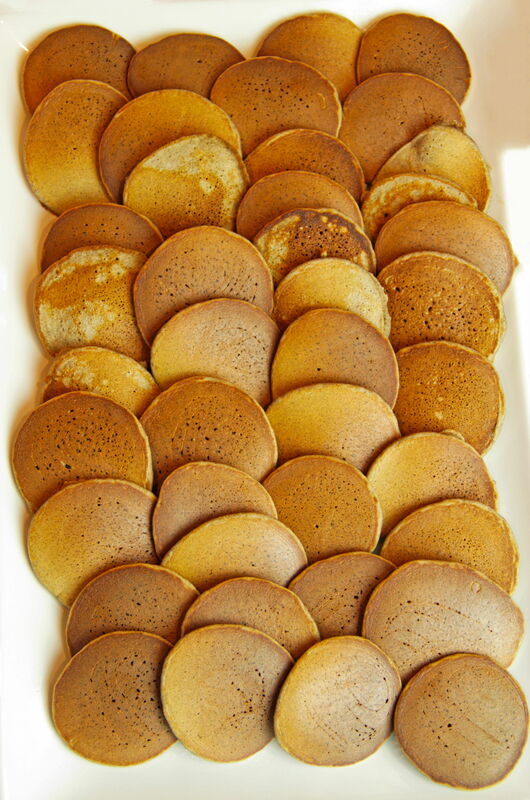 Buckwheat Cakes were a common choice on frontier menus, and back in the mid-1800s at the What Cheer Restaurant in San Francisco, you could get a whole plate of them, piled high and doused in sweet honey, for a mere nickel. I’ve been thinking about babies a lot (as a result of welcoming my first-ever grandchild, Phoebe Rose, into the world on December 16th!). I’ve also been thinking about buckwheat a lot (we have caviar on Buckwheat Blinis every New Year’s Eve and I still have half a bag of flour left sitting on my counter.) Add to all of this that I have been helping my son and daughter-in-law with their grocery shopping during this busy time. My son’s list includes “those little frozen pancakes from Trader Joe’s”. So, I combined my jumbled thoughts into one cohesive baby pancake concept. Since buckwheat is more closely related to sorrel and rhubarb than wheat, it is gluten free. Dough without gluten can be a little fussy – keeping the pancakes small helps. And, since there is absolutely no butter in the batter, its nice to serve your babies with a generous clump, with real maple syrup or honey for the topping. Combine buckwheat flour, baking powder and salt in a small bowl. Set aside. 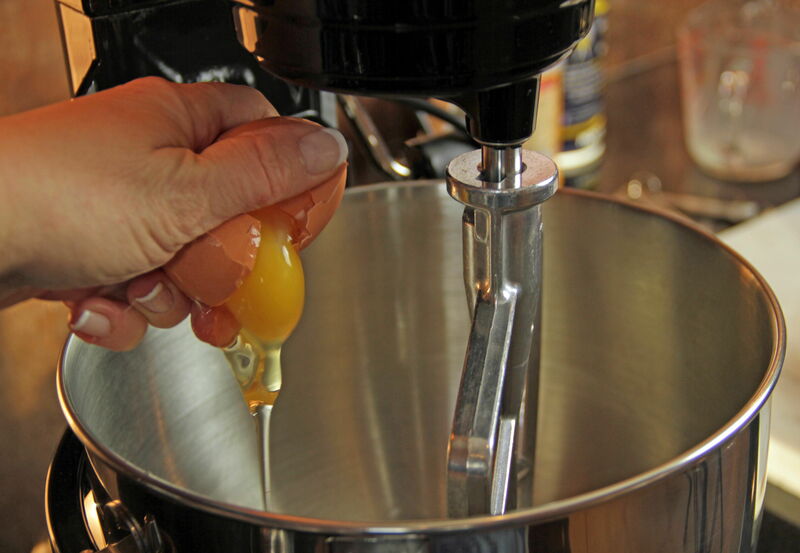 In a separate large bowl (or stand mixer), add the milk, eggs and honey. Beat milk mixture on low for about two minutes, until thick and smooth. 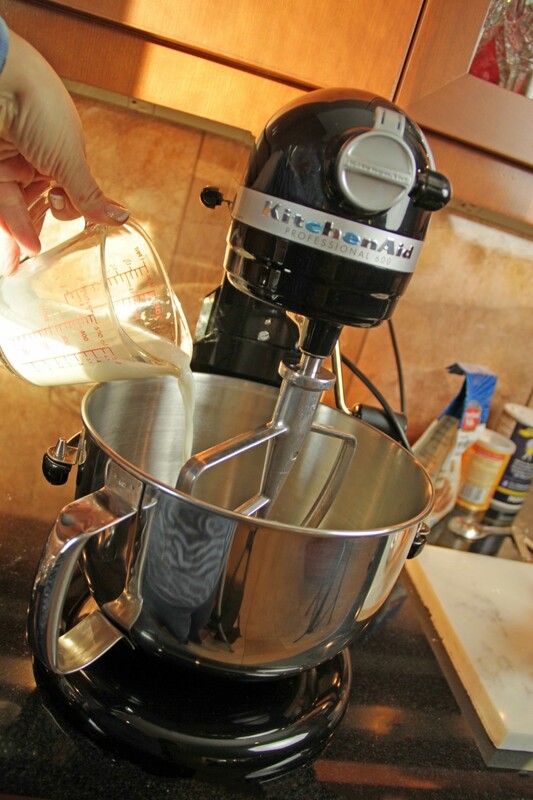 While beating (or with mixture on low), add buckwheat flour mixture to batter. Mix for another minute or so, until batter is well-mixed and somewhat heavy. Place pan or griddle on burner over medium heat. Melt a small amount of butter (or heat vegetable oil) in the pan for the first pancake. 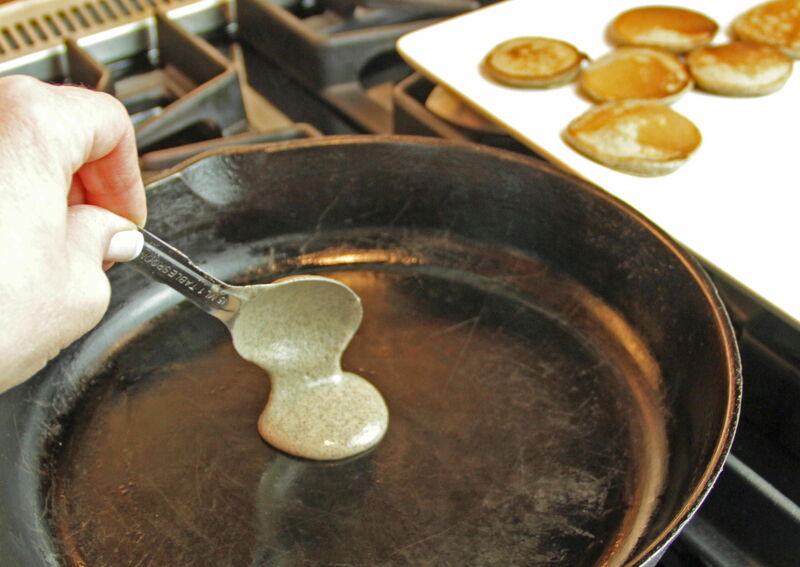 Use a tablespoon to spoon batter into pan and cook until small bubbles appear throughout pancakes. Flip once with thin spatula and continue cooking less than one minute until golden brown. Serve hot with butter and real maple syrup. Makes about 40 2-inch diameter pancakes. Shadow and Bone by Leigh Bardugo. Oh look guys, it’s another young adult fantasy trilogy! That’s pretty much my first thought every time I see a new young adult trilogy. In case you haven’t noticed, there are TONS of them. To be fair, some of them are five or six books long so I guess I can’t count those as trilogies but you get the point. Picking out the kernels of good reading from the mountains of chaff can be an overwhelming task, a task I generally leave to the professional book-readers. One of the books I recently picked up was Shadow and Bone by Leigh Bardugo. I have seen her book around but hadn’t bothered to open them, even Six of Crows which has crows on it! I can say I’m glad I read it and that I will finish the trilogy. The story in the land of Ravka, which is a lot like Tsarist Russia. Except this land is plagued by a place called The Shadow Fold, an impenetrable darkness that divides that land and is teeming with monsters. This darkness was created long ago by one called the Darkling, who can call in darkness. There are people with special magical skills; they are the Grisha. Some can create fire, some can heal and others beautify. Only the Darkling can call darkness. But what they need is a Sun Summoner, whose power to call the light of the sun can destroy the Shadow Fold. Could it be the savior of the land doesn’t even know what power is contained within? 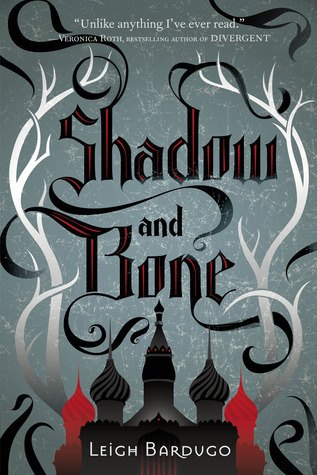 A unique and exciting start to a trilogy as well as a start to a debut author’s career, Shadow and Bone will keep you up past your bedtime. Making your bed might seem insignificant, but actually, this simple task can start things off on the right foot and positively affect the rest of your day. Not sure how to properly dress a bed? Head over to this previous blog post I wrote for a little help. For now, though, read on for five reasons why your bed should never go unmade. Starting your day with a positive action will put you in the mood to work and accomplish other tasks. Getting motivated in the a.m. is a surefire way to have a successful workday. One good habit leads to another. Daily bed-making is an excellent habit to get into, and will undoubtedly lead to other good habits, such as eating a healthy breakfast, keeping to a schedule, and staying focused throughout the day. 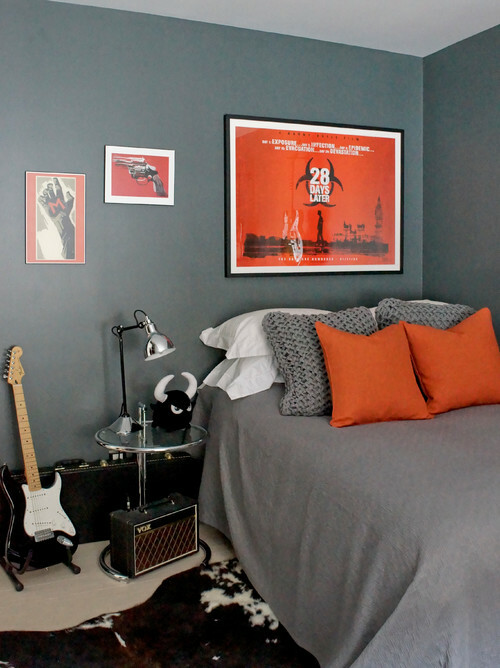 Your bedroom will feel less cluttered. Who would have thought? 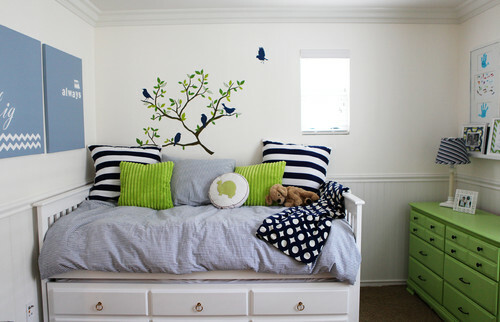 Taking five or ten minutes each morning to make your bed will leave your room with a more organized feel. That’s a pretty simple fix, if you ask me. You can have visitors at any time. Surprise visitor? If you’ve made the bed, you won’t feel embarrassed when your best friend pops in unannounced. You’ll look like you have everything under control (even if you don’t). You’ll feel happier as you get into bed at the end of a long day. Looking at a perfectly made bed is satisfying at any time, but particularly when it’s time for bed. Pull down your comforter and sheets, fluff your pillows, and crawl into your nest until tomorrow. Sweet dreams!